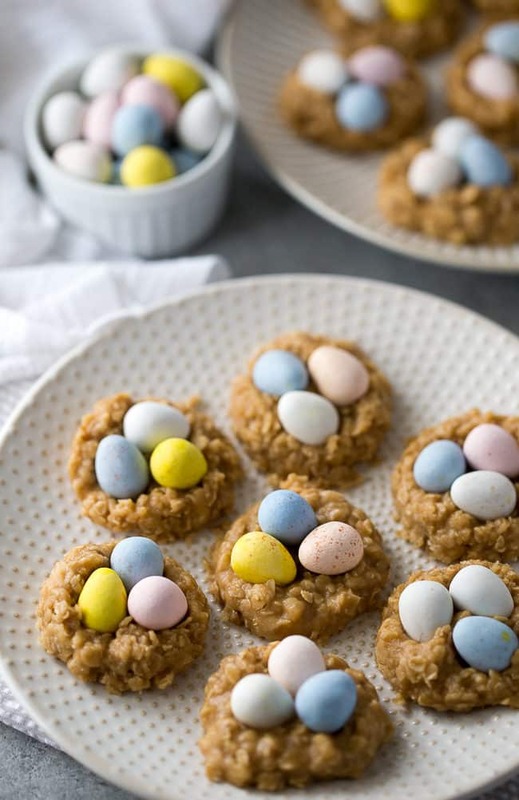 Spring is in the air and these adorable no-bake peanut butter nest cookies are simply delightful to celebrate the Easter season. 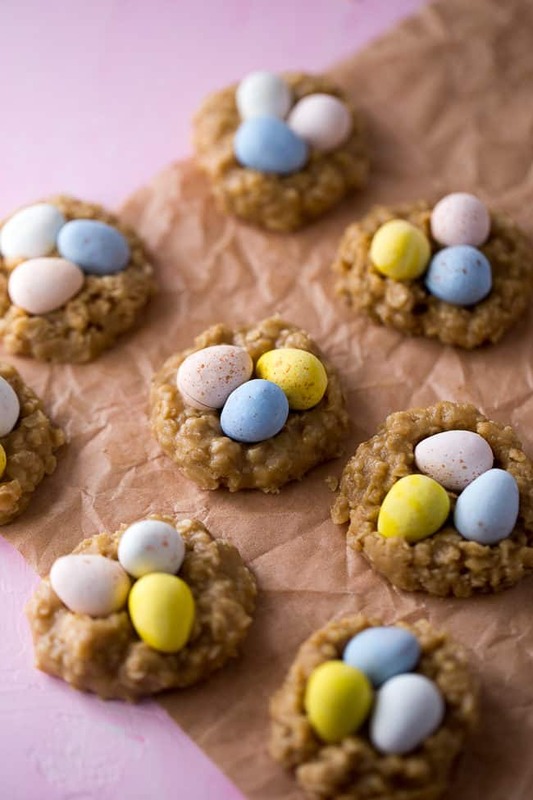 This recipe utilizes my famous peanut butter no-bake cookies recipe that everyone always raves over, with some yummy milk chocolate mini eggs nestled in each nest. These no-bake cookies are incredibly flavorful and creamy if you follow the instructions exactly. You’ll need to be patient and wait while these nest cookies set-up, but the result is a wonderful cookie that isn’t dry or chalky like some no-bakes can be. If you prefer, you could also make these no-bake nest cookies using my chocolate no-bake cookies recipe. Either way will be delicious, but I love the golden nest-like color that these peanut butter no-bake cookies give you. 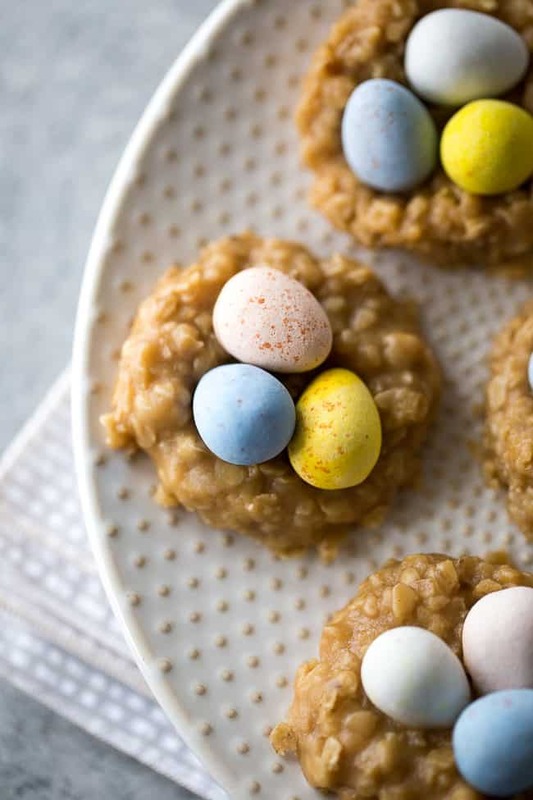 These Easter nest cookies are in a word—adorable. 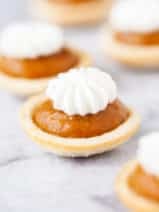 They are a wonderfully easy dessert to make ahead for your kids’ school parties. Just be sure to give yourself some time, as they do take some time to get set-up and get nice and firm. 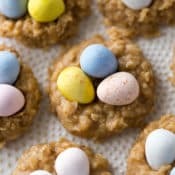 I’m loving Milk Chocolate Mini Cadbury Eggs for these Easter nest cookies. The candy shells come in these lovely pastel colors and have a realistic speckles on them. They look just like real eggs and even the ones with a crack in the shell look sweet on these cookies. That said, if you can’t find the Cadbury Mini Eggs you could also use Easter M&M’s. 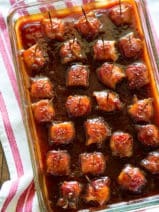 Sometimes I feel like themed, holiday recipes are all cute with no flavor. The thing I really like about these peanut butter no-bake nest cookies is that while they’re beautiful, they are also absolutely delicious. 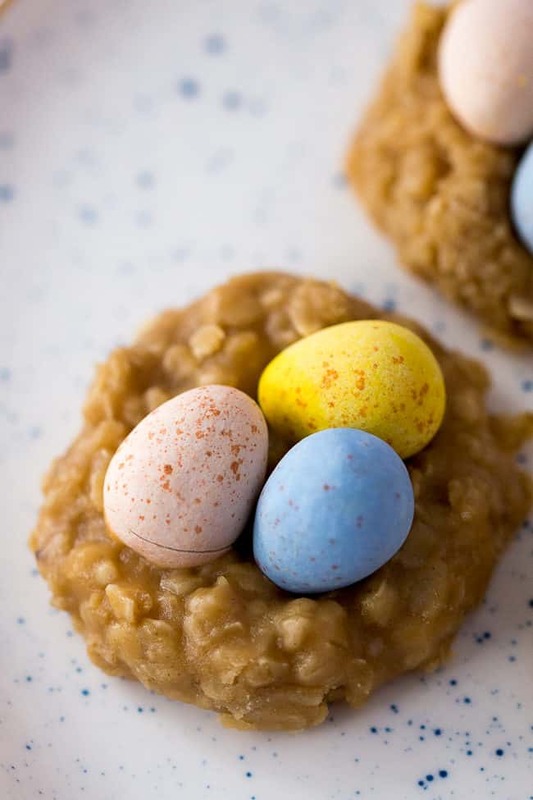 Grab the recipe below and be sure to pin these Easter bird’s nest cookies to your favorite food and holiday boards on Pinterest. 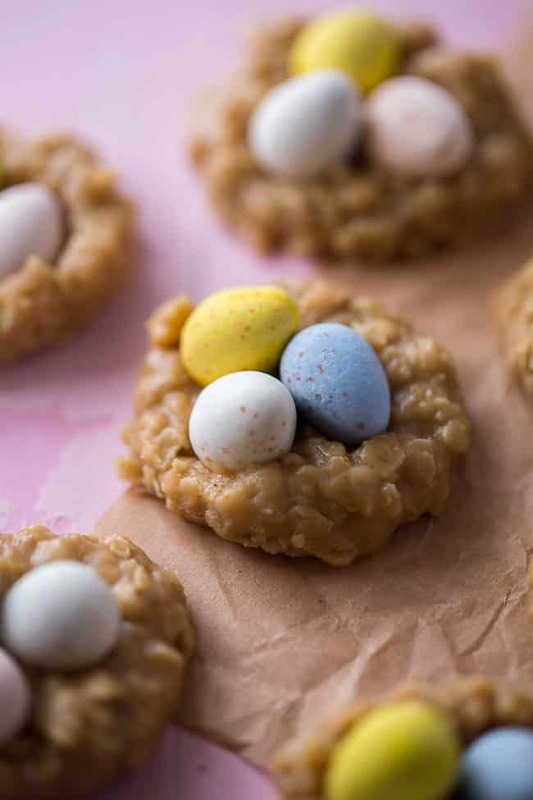 These easy no-bake peanut butter nest cookies are perfect for Easter. They look like adorable little bird’s nests and taste amazing. In a medium saucepan over medium-high heat, combine sugar, butter, and milk. Bring to a rapid boil and boil for 2 minutes and 30 seconds (SET A TIMER! ), stirring continuously. 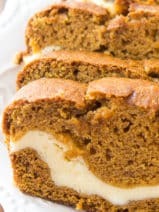 * Remove from heat and stir in the vanilla and the peanut butter. Stir in the oats until well blended then immediately drop by tablespoons onto waxed paper. 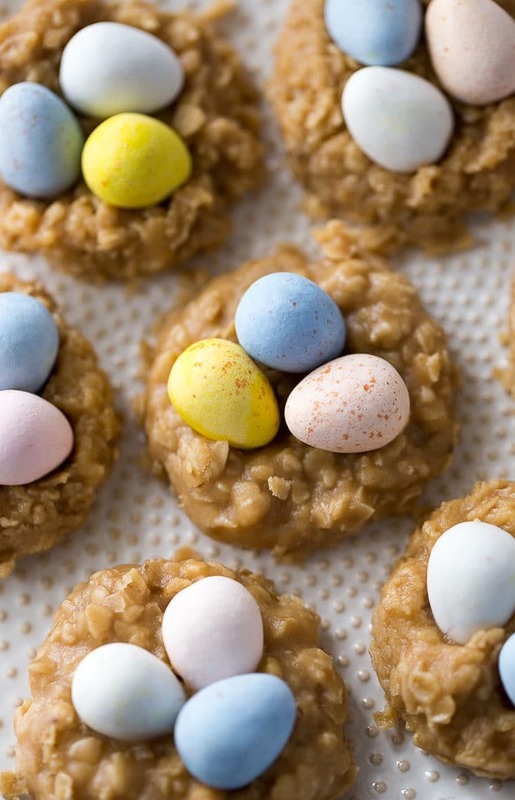 Working quickly, press two or three Milk Chocolate Cadbury Mini Eggs into the center of each no-bake cookie and allow them to continue cooking to set before eating. If you boil these cookies for exactly 2 minutes and 30 seconds (set a timer or watch the clock carefully), they should turn out wonderfully, however, please note that this type of no-bake cookie is not an exact science and there are many atmospheric factors that could vary your results. 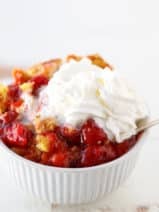 This looks delicious, and easy enough for my kids to make! I love the addition of the Cadbury eggs – my fave! Your Nest Cookies are adorable and delicious! Hope you are having a fantastic week and thanks so much for sharing with us at Full Plate Thursday! These are really cute and look yummy too!! Crissy, these little cookies are adorable! 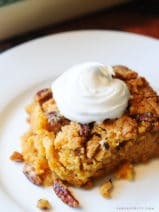 Considering we have a heat wave right now, no bake goodies sound delightful. These cookies are so cute. What a great idea for Easter. 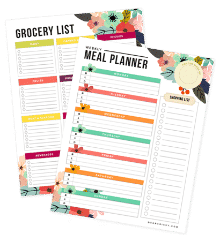 How cute these are so easy to make. perfect little treat for Easter. Thanks for sharing at DI&DI. My boys will love making these…if I can keep them from eating the eggs first. Adding to my Pinterest queue.